Jockovino has previously written (A New Dawn Rises Over the Aube) how and why some of today’s most compelling and seductive Champagnes come from the hitherto obscure Aube region of Champagne. At the forefront of the excitement in the Aube is Domaine Pierre Gerbais, an 18-hectare estate situated in the Côte des Bars, the southernmost vignoble in Champagne. The Domaine’s vineyards lie on slopes of the Ource Valley in the village of Celles –sur-Ource, and benefit from a microclimate created by the convergence of the Laignes, Seine, Ource and Arce river valleys. The vineyards lie on the famous Kimmeridgian Ridge, a geological formation of limestone marl that runs through the vineyards of Champagne, the Loire Valley and Burgundy. More than a few oenophiles are convinced that many of the finest vineyards in the world lie on the Kimmeridgian Ridge, whose distinctive limestone clay, rich in fossilized ammonites, give rise to uniquely profound wines. Domaine Gerbais has 10 hectares of Pinot Noir, 4 hectares of Chardonnay, and 4 hectares of Pinot Blanc. The vines themselves are quite old, some planted over a century ago (average age over 30 years), so the roots reach deeply into the Kimmeridgian soil. The Domaine is devoted to the principles of organic viticulture and fulfilled the rigorous certification standards of AMPELOS since 1996. They produce about 20,000 cases per year. Gerbais is a family affair and there are three generations now pulling together to fashion their remarkable Champagnes. 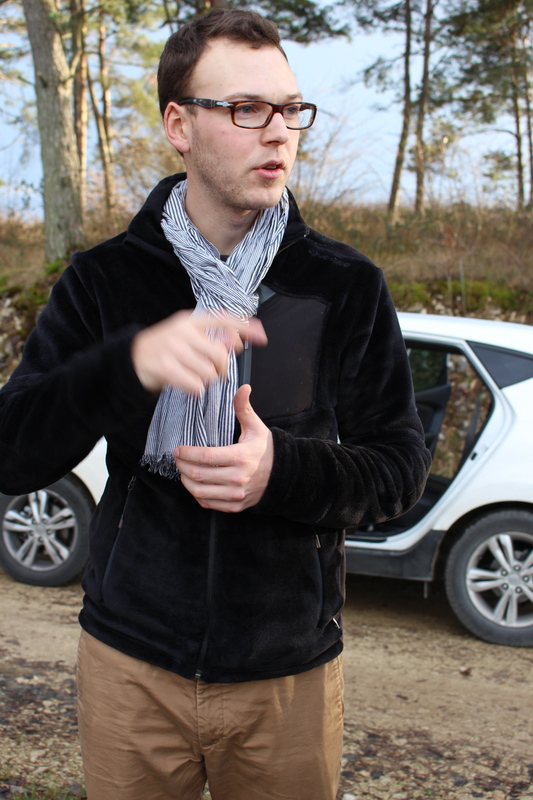 The winemaker, 23-year old Aurélien Gerbais who spearheads the efforts, was trained in Burgundy and passionately embraces their terroir-driven philosophy, together with many of the innovations adopted by the young generation. The conventional wisdom is that Champagne must come from three grapes only: Chardonnay, Pinot Noir and Pinot Meunier. This is largely accurate in practice, insofar as only 100 acres out of Champagne’s total of 30,000 acres are planted in other than the “big three”. But it is not true in fact. As of 2010, Champagne can be produced from four grapes beyond the “big three”: Petit Meslier, Pinot Blanc, Arbanne and Pinot Gris. One of the most compelling and seductive attractions of Domaine Pierre Gerbais is their cultivation and use of a rare type of Pinot Blanc (“Pinot Blanc Vrai”) in some of their Champagnes. In this regard, Pinot Blanc was once widely planted in the Aube as the vines are more resistant to the region’s frost. But the development of more frost-resistant clones and, more importantly, the vicissitudes of fashion have all but extinguished the availability of this charming alternative. Gerbais employs seléction parcelaire, that is to say the Domaine carefully identifies particular parcels of vines within the vineyards and then picks and vinifies separately the fruit within each such plot before composing the final blends. The grapes are harvested carefully by hand and crushed in a traditional Champagne press. After a brief period of débourbage at a controlled, cool 12° C., alcoholic fermentation is induced in stainless steel tank through select organic yeasts. The wine then, also in tank, naturally passes through malolactic fermentation. Each of the Domaine’s bottling expresses a unique approach to Champagne and includes variable techniques and blends. The Domaine’s offerings include the Cuvée de Réserve, Extra Brut. This wine is a blend comprised of 5% Pinot Blanc, and 47.5% each of Pinot Noir and Chardonnay. All the fruit comes from low-yield old vines (average 35 years). At present (2013), the base wine is from the 2007 vintage, with a low dosage of 5g/L. The Cuvée de Réserve is aged on its lees in bottle for 30 months and disgorged 6 months before release. Total sulphur dioxide is less than 30mg/L. The pH is measured at 3.06. Gerbais’ Prestige, Extra Brut is a Blanc de Blancs (100% Chardonnay) derived from two quite distinct parcels of Chardonnay. The predominant constituent derives from a special lieu-dit called Les Côtes, a north-facing parcel planted in 1983. The complementary parcel is an old vine parcel with a more typical southern exposition. The fruit from each parcel is separately crushed and vinified in thermo-regulated stainless steel vessels. The current (2013) bottling has a base wine from the 2008 vintage, and a dosage of 5g/L. The Prestige, Extra Brut is aged on its lees in bottle for 36 months and disgorged 6 months before release. Total sulfur dioxide is less than 36mg/L. The pH is measured at 3.08. The Domaine’s most singular offering is its L’Originale Extra Brut, made 100% from selected parcels of Pinot Blanc Vrai. The dominant parcel is in a special lieu-dit called Les Proies, comprised of very old vines that were grafted in 1904 onto the then-extant rootstock. This parcel, with already low yields due to the age of the vines, suffers additionally from millerandage, a condition causing undersized berries and reduced yields. Fortunately, both old vines and millerandage produce intense, profoundly compelling fruit for Aurélian Gerbais to use in this flagship, prestige cuvee. The current (2013) offering of L’Originale Extra Brut is crafted from base wine made the 2008 vintage and a dosage of 5-6g/L. This very special Champagne is aged on its lees in bottle for 36 months and disgorged 6 months before release. Total sulfur dioxide is less than 31mg/L. The pH is measured at 3.01. When General de Gaulle famously questioned: “How can you govern a country that has 246 kinds of cheese,” he was confirming that the historical conflicts among France’s many peoples belie the fiction of a cohesive Belle France. One of the most quarrelsome regions of France has been Champagne, which has since antiquity been the venue of France’s bloodiest battles; and, more recently, the source of perhaps its most iconic wines. It seems that when the Champenois have not been fighting the Romans or the Germans, they have often turned on themselves, perhaps just for practice. 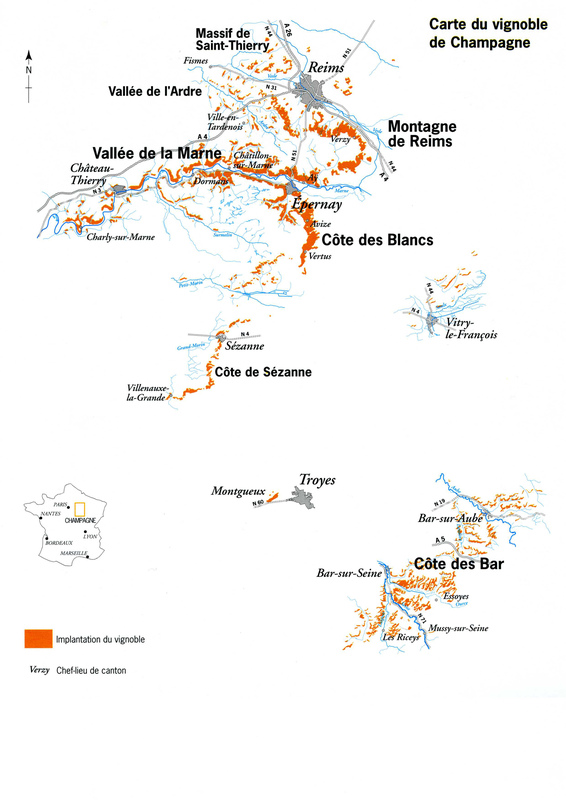 The province and viticole of Champagne has historically been divided into two sectors. The northern Marne , with Reims as its center of gravity, is comprised of the Montagne de Reims, the Vallée de la Marne and the Côte des Blancs. The portion of the Champagne viticole in the southern sector of the Aube, which revolves around the city of Troyes, is the Côte des Bar. 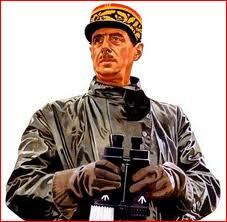 The rivalries and conflict between the Marne and the Aube have deep historical roots that continue into the present. For at least the past 100 years, the casus belli has been economic conflict arising from the highly lucrative Champagne trade. Although both the Marne and Aube grow grapes and make Champagne, the two rivals have competed to dominate, each trying to marginalize the other. To the extent that the Marne has become more dominant than the Aube since the Middle Ages, and Reims grown ascendant over Troyes, the northerners have been positioned to define the terms of conflict. In the first part of the twentieth century, they prevailed upon the central authorities in Paris to designate the Marne as the premier part Champagne and to denigrate the Aube as secondary. This prompted violent protest in the Aube which came very close to open insurrection in 1911-14, diverted only by the outbreak of the First World War. Although the southerners succeeded after the War in overturning their disparaging second class status, the damage had largely been done:, and the Aube has since played a decisively secondary role in the Champagne trade. While Aube grapes have consistently formed an essential part of the blends, the Marne has garnered all the glory. The best-rated vineyards and most powerful Champagne houses have invariably been situated in the north. Even today when most oenophiles think of fine Champagne, it is almost invariably from the Marne . The worm has begun to turn, however, and serious wine lovers increasingly focus on the Aube. One of the reasons for this change is that the very success of the Marne has all too often led to an inflexible embrace of traditional practices and a resistance to innovation and creativity. Vignerons in the Aube, in contrast, unfettered by the shackles of their past, have been free to experiment and try new approaches. The Marne remains in many ways a captive to the Grandes Marques and to the prevalent practice there of buying in grapes and blending wines in pursuit of a “consistent house style.” Thus, for example, while many in the north are mired in the past, still robotically blending Champagne for the sweet tooth of the Russian Imperial Court, many creative young Aubois are crafting low dosage Champagne more suited to modern palates and cuisine. Although the Aube is situated halfway between Beaune and Reims, Aubois vignerons incline more towards their brethren in Burgundy by reason both of geographical influences and personal chemistry. Aubois vignerons, strongly influenced by their Burgundian neighbors, appreciate the relative value of terroir over uniformity. Significantly, the Kimmeridgean marl and Portlandian limestone of the Aube more closely resembles the soil in Burgundy (and especially Chablis) than the more homogeneous Cretaceous chalk of the Marne. Historically disparaged by their rivals in the Marne, the Aubois have eagerly embraced the philosophy and innovations of the new generation in Burgundy. While the feet of the Aubois are firmly planted in Champagne, their hearts belong to Burgundy.